While modern smartphones offer users some great features running on stunning displays, this can sometimes come at the expense of the handsets battery life. 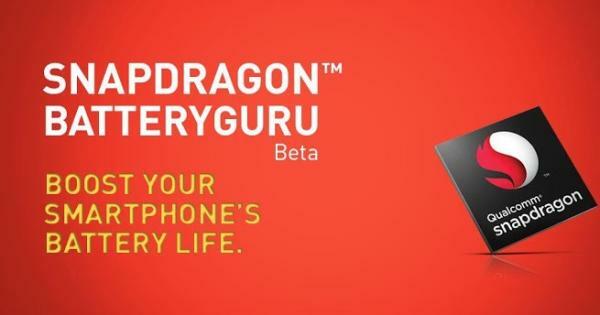 Technology on the battery side of things has seemingly been left behind in the mobile phone world, but the Qualcomm Snapdragon BatteryGuru app promises to fix Android battery life. There are plenty of different applications available for users to download that promise to aid battery life, with many killing the numerous apps that can be running in the background on a smartphone. Now Qualcomm that are responsible for a number of processors found inside modern smartphones have released an application in beta form onto Google Play that will get the most out of your Snapdragon powered device. The app works by looking at things you do on your hardware learning how a user operates the device and other features used on the handset. Things such as when you are most likely to be connected to a Wi-Fi signal or using a 3G/4G connection are learnt, and turns off the Wi-Fi receiver based on this information. Once the app has finished its learning period it will let the user know it’s ready to begin extending the life of your battery, and will run in the background optimizing battery performance without disabling smartphone functionality. It has to be remembered this app is still in beta so there may be some minor glitches, but the company has promised to expand the app to more Snapdragon powered devices in the future. Those that have already downloaded the app have given it positive reviews, and to try it out yourself head over to Google Play. Do you use any applications to try and improve battery life on your device?